Earlier this week, the ever energetic Mark Diaz Truman contacted me about playing in a Dungeon World game via Google Hangouts and Tabletop Forge. He was trying to wrangle up the participants from our GenCon Dungeon World session to play. We were able to get most of the players together and decided to continue with the characters we had played. Humble the Thief, Nara the Rangress, and Dunwick the Bard. We had tried to bring along a new adventurer, Bartleby the Fighter, but Travis was having extreme technical difficulties and had to sadly bow out. We had a three hour window to play, and spent the first hour or so shooting the breeze, working through technical difficulties and rebuilding our characters. After that, we were off. And Mark threw us quickly into action. We had been working our way deeper into the caverns, and had spilled into the Goblin King’s chamber – the token for the Goblin King was Jareth from the Labrynth, and someone drew a pretty red heart around the token. Questions were flying, as Mark asked our characters how they knew certain things. Dunwick loves reading lots of trashy serials, Humble listens to Dunwick’s nighttime ramblings, and Nara recalls the traditional tales of her northern ancestors. We were searching out a small shrine to return to the surface, and another relic that Nara would know when she saw it. Dunwick was referencing the previous session, the one at GenCon, which the heroes had dispatched a goblin shaman. Fantastic! Here was a recurring foe, now stitched together through some foul magic. With some quick parlay and some leverage, Dunwick was able to convince the Goblin King that we were going to usurp his throne, a contraption assembled from numerous traps that required sitting in it just right. 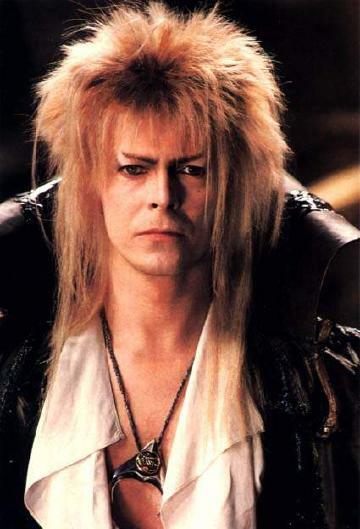 The Goblin King agreed to abdicate…if one of us could sit in the thrown without triggering the trap. Humble determined the traps, but being Evil sought to shift blame/danger onto Nara – after all she had evidence of Humble’s crimes. Nara succeeded in sitting on the chair and became the new Goblin King – and Jareth accepted the terms. Nara also noted that amongst the treasure was the relic – a dragon egg – which we soon learned required being surrounded by treasure to prevent it from hatching. King Nara’s first challenge as leader was that an earth elemental envoy was demanding an audience. The conversation was interesting, as Mark spoke slowly, and at one point Nara spoke during a lull. The emissary admonished Nara for interrupting and continued. Dunwick observed that the emissary spoke until his arms dropped, as if in a sign of completion. The conversation went on, and it was determined that the dwarves drove the elementals out of their homes and the goblins now resided in ancient dwarven tunnels. Ultimately the elementals and King Nara struck a bargain – both forces were going to join and defeat the encroaching darkness. The elementals, however, were going to take the shrine back with them. During the exchange, it turned out that Humble had looted the treasure, and the shaman had fled with the dragon egg. Humble, Nara, and Dunwick gave pursuit, and chased the shaman to the sacred burial pit – a previously established fact created during play was Mark asked Dunwick how the goblins bury their dead. The shaman descended, and Nara gave chase – Humble again sought to put another person in danger and again it was Nara in a scene eerily reminiscent of the first session. The moves began cascading, as Nara safely descended, but overtaxed the rope, and it began to give. Dunwick and Humble held onto the rope but the shaman was now attacking Nara. A gruesome and tense conflict occurred over what, by all appearances, was in fact a bottomless pit. Nara was biting the undead shaman; Humble had begun descending the walls but had torn open the pouch to his treasure and had to choose help or save the treasure. Dunwick was peppering the shaman with arrows. Eventually Nara and Dunwick were able to dislodge the shaman. And as the shaman fell, a massive shadowy dragon maw, consumed the shaman and we learned of the deep dwelling dragon of darkness. Most everyone agreed that the technical issues were a thorn. I recall most of the roses being related to the parlay with the King. My personal Thorn was that I had created a very disengaging thief. I was Evil and marked XP for shifting blame. I also had a bond that basically said “Don’t pull Nara’s skin out of the fire.” So I’m thinking how I can resolve that bond and move forward. After all a disengaged character is really a sad thing. During our initial fight with the goblins, each of our characters were narratively engaged with the enemy. Characters were making moves. And at one point Mark had the archers, who were ready to fire arrows, unleash their arrows and do damage. This was different from how I’ve normally run my games, in that moves only come as a response to characters. So this “And now you take damage, even though you’ve been making moves” felt different from my normal GM style. This is a very minor point of contention, but does raise a procedural questions concerning combats with many participants. Superior numbers should mean something, and being engaged in melee while enemy archers take aim is likely a dangerous proposition. There is also the challenging of making sure the “active turn” passes somewhat equally amongst the characters – so following up a “Hack n’ Slash” move with the question “You hack into the goblin but see archers taking aim at you…what do you do?” could result in a weird distribution of the spotlight. Poor Travis, booted from the table a few times, was unable to join us. The beta version of Tabletop Forge served us well, but there were points in which the drawings did not appear to render for everyone. Otherwise, having voice and video, along with a shared table top, proved more than enough for a great game of Dungeon World. Does Google Hangouts beat face to face gaming? No. But it sure is great to have played with people I met at GenCon. I don’t know how much I would like a very grid-based game via Hangouts, but certainly the loose narrative style of Dungeon World works great. And we have another session scheduled – and it looks as though we may have another from the GenCon game. Dungeon World, Google Hangouts, and Tabletop Forge by Jeremy Friesen is licensed under a Creative Commons Attribution-NonCommercial-NoDerivatives 4.0 International License. Based on a work at https://takeonrules.com/2012/09/11/dungeon-world-google-hangouts-and-tabletop-forge/. Permissions beyond the scope of this license may be available at https://takeonrules.com/more_permissions/.